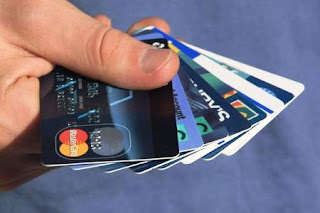 Stella Arnaldo's Blogspot: Cardholders beware! I'M posting this story by Johnson Tan, a De La Salle alumnus and business owner, and friend of media colleague, Mia Gonzalez of the BusinessMirror. Mia posted this last night on her Facebook page, and I was so appalled how this couple lost their entire savings because someone had apparently been able to get hold of their debit card's PIN. I hope it serves as a warning to us all cardholders that danger lurks wherever and whenever we use our credit cards or debit cards. What I find most disgusting, is that the bank in question, already has a photo of the thief, and yet it seemingly doesn't want to help the couple catch him or prevent other depositors from being robbed. All it has to do is turn over the thief's photo to the NBI. Tsk, tsk. Hi all, this is to relate what happened to our HSBC Canada account. Our purpose is to inform people that your money may not be safe from thieves and to take security of your bank accounts very seriously. We are based in the Philippines but had opened an account with HSBC Canada thru the help of HSBC Philippines specifically HSBC Greenhills. The account should have been used for my daughter's education and cost of living in Canada. When my wife went to Vancouver with our daughter for her studies, she had her debit card activated and placed in her own PIN. When she arrived in the Philippines, we did not check our account balance for 15 days. When we checked our account, we were horrified to find that our account had zero balance; Thanks to someone withdrawing our funds everyday at HSBC Philippines atm machines and emptying our funds with HSBC Canada. It is really painful to see years and years of savings disappear: all the times my wife and i saved to ensure a good education for our children. cancel the cash advance feature if you do not need it. Cancel your global transfer facility if you do not require it: as this may be hacked and all your funds may just disappear. We have shots of the thief who stole our funds by using HSBC Philippines atm machine but it is bank policy not to provide me with a copy.... and the NBI must secure some court order before the photos are released. Sometimes I feel that the bank is protecting the thief rather than the depositor who was ripped off. My family hopes to get the funds back and I have reported the incident to NBI and Banco Sentral. I have also sent many letters to HSBC Philippines and HSBC Canada. We never lost the debit card and the PIN number was never divulged to anyone. There is a proliferation of this sort of theft. At the NBI, i was informed that before me, a balikbayan couple (aged) was also complaining and crying that their account had been emptied. When i went back to the NBI days later to get my case number file to be sent to HSBC Philippines and HSBC Canada, I was informed that after me, another balikbayan couple had also reported that their accounts had also disappeared. Is it possible that the theft occurred in plane flights from North America to the Philippines? wife rode PAL 107 from Vancouver to Manila by herself and we half suspect that someone in the flight had some electronic gadget and somehow got her card details. Is it possible that some dishonest merchant had their data compromised when wife used the POS? or maybe there was a skimmer and camera at an ATM in Canada and was compromised? So many possibilities that make our family now so scared to use bank cards for withdrawing funds or even using credit cards. if you have been victims of the atm/ debit/ credit card scam, please message me so we can also learn from your experience. Lets work together to help others (and yourself) not get ripped off as well. Thank you for reading and feel free to message me for more details. -banks are quiet about these incidents but do note that they are now giving more warnings to atm users BUT not telling them that the thieves are getting hi-tech now. -actually the debit cards should have a maximum allowable daily limit of 400ca$ and 500ca$ if pos. 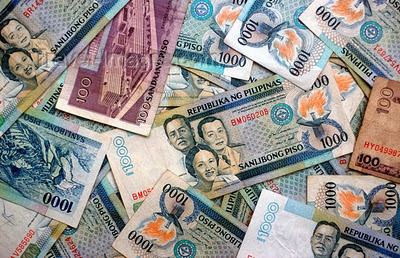 however, in the Philippines, thieves withdrew 1000 ca$ per day. -as a depositor who was robbed, how can we prosecute the criminals? bank wants NBI to file a case first... NBI can't file case as suspect is not identified. In the end, the depositor is left with nothing. the bank and thieves have not lost anything. My HSBC greenhills officer actually told us that HSBC Greenhills will not get involved in police matters as the loss is ours... not theirs. Please consider that we are depositors with HSBC Greenhills before this incident even if the account was HSBC Canada. The account was opened with the assistance of HSBC Greenhills, HSBC Philippines. 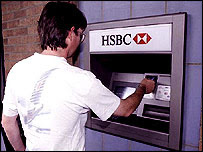 When trouble comes, HSBC Philippines will deny all responsibility even if their machine was used in the withdrawals. What I find so sickening in this whole affair is the inability of HSBC Philippines to help their customer get through this problem. 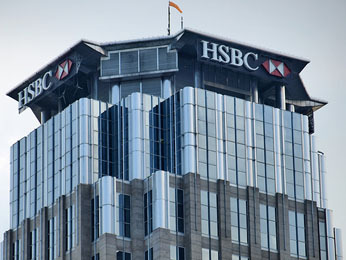 According to Johnson and his wife Nancy, HSBC Greenhills are claiming "bank privacy". I understand that; but I'd assume this only applies to the protection of bank deposits, not thieves! Why doesn't HSBC want to cooperate with the NBI in turning over the photo of the alleged thief, since apparently, the bank officers already have it in their possession? So while HSBC executives are sitting on their asses, said thief just goes on and on, victimizing other people of their savings?! Hello! I've always held HSBC in high regard. (For the sake of disclosure, I am an HSBC cardholder myself.) Johnson says that he chose HSBC in fact because of its excellent reputation worldwide, and he thought his funds would be safe there. But this isn't the first time I've heard of HSBC's deteriorating service. Even some of my own friends and relatives have told me a few horror stories involving this bank. This deterioration has been happening in the last two years, and I'm not sure if it's because there's a change in management or a change in bank policies. And yet, HSBC isn't the only one. A number of Philippine banks unfortunately, put their needs ahead of their customers, conveniently forgetting that without our hard-earned monies, they won't even be able to generate their profits and pay the handsome incomes of their executives. I hope the Bangko Sentral ng Pilipinas can help intervene in this matter, or at least direct banks to immediately cooperate with local authorities when investigating cases of fraud. Kawawa ang mga depositors/cardholders! How could the local HSBC not help this couple when the latter have lost a huge amount of money that was saved for an important purpose?! Is there a local authority that could compel the bank to release the CCTV file of the supposed thief? I also have a Ca hsbc s/a set up by my phil hsbc branch. A few days ago, i got a call from hsbc Ca confirming if indeed we had requested for a replacement ATM card. WE HAD NOT. Apparently they had received a request in canada, since it was a canadian account, but the replacement card was being requested to be delivered in the Phils, at a diff address (not ours or my branch's). Also, the phone number supplied was different from our old number, but supposedly the would-be thief had provided accurate security details. I'm glad the attempt was not successful but how were the security details compromised? This account is just there, it isn't active, the ATM is kept safe and is not being used. Nobody knows about the account except us and the hsbc branch. How suspicious that a call was made to CANADA but delivery of the card was Manila. The thief must have connections in both countries, and must be based here in Manila. @Jen: I'm still waiting for the response of BSP officials who said they would look into this issue. Other friends have pointed out on my FB account where I first shared this story, that what HSBC is doing could be tantamount to an "obstruction of justice." I tend to agree w/ them. @Anonymous 9:24 pm: Hmmm...sounds like some of my friends were right. The scam may have been an inside job w/c could be the reason HSBC refuses to cooperate w/ local authorities in this matter. Would you want to send me your name and contact no. (I won't publish them) so you could tell me your story? P.S. Hello Mang Delfin. Didn't realize you were in Dubai na. Hope all is well. And thanks for sharing your story. Hi Stella, If ever your friend feel they have a case (I think they may have one since you say that the bank is reluctant to file charges even after knowing the identities of the perpetrators), it better to file a proper complaint to the Office of Special Investigation, BSP. Most of the other agencies often get compromised. I have uploaded a full account of the my administrative complaint and criminal complaint against HSBC filed with the Bangko Sentral ng Pilipinas and the Office of the City Prosecutor respectively. These can be found in my tweeter account twitter.com/booboonkhoo and scribd account: http://www.scribd.com/BooBoon respectively to provide the context for bank depositors to to appreciate the seriousness of having your bank pry open our account and express their collective outrage when an agent of our justice system mandated to protect us is allegedly abetting the crime. Thank you for your coment Musings. This case has already been resolved in the account holder's favor. Great to hear about the resolution of your friend's complaint! Btw, you got a great looking blog-spot here. More power and best wishes!